Data & Society > our work > op-ed > Empathy isn’t a favor I owe white Trump voters. It has to go both ways. 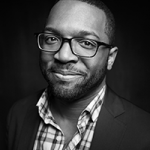 D&S advisor Baratunde Thurston jumps into the debate of the place of empathy in a post-Trump election.